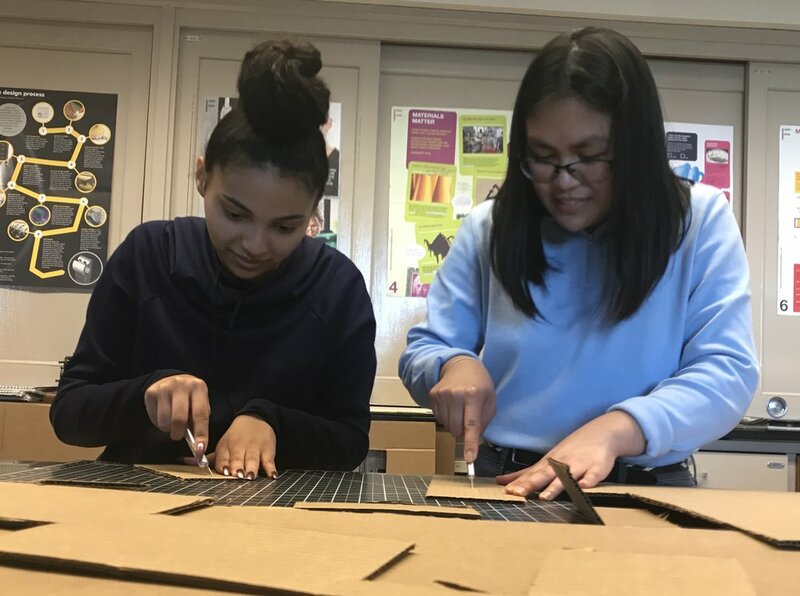 It’s a Thursday in early February, and members of Amundsen High School’s Girls Into Engineering Dyson Club are building cardboard chairs, marble runs and geodesic domes in preparation for the upcoming Introduce a Girl to Engineering Day, sponsored by the James Dyson Foundation, an Amundsen partner. The activities of the Girls Into Engineering Dyson Club are wide-ranging. In recent months, club members have built prototypes of devices like automatic pet feeders and watches that remind the elderly when to take their medication. They’ve visited the Museum of Science and Industry for inspiration. They judged a science fair at Coonley. They’ve competed in a bridge-building competition and fixed broken items by applying principles of reverse engineering. The students work in a Maker Lab equipped with anything they might need, from toothpicks and tape to 3D printers. The walls are covered in posters with titles like “Manufacture it,” “Thinking on paper,” and “Build it, Break it.” It’s all supervised by Eman Sarhan, an 18-year veteran teacher who instructs physics and astronomy courses at Amundsen. Smiling, she stands in the back of the room, watching the girls in action. The club’s evolution was “organic,” Sarhan explains. Back in 2015, Mayor Emanuel picked Amundsen to partner with the James Dyson Foundation—of vacuum cleaner fame—to develop a cutting-edge STEM curriculum. The resulting program includes a 4-year Design and Technology sequence, the Maker Lab, a classroom space, and $100,000 worth of engineering equipment for student use. 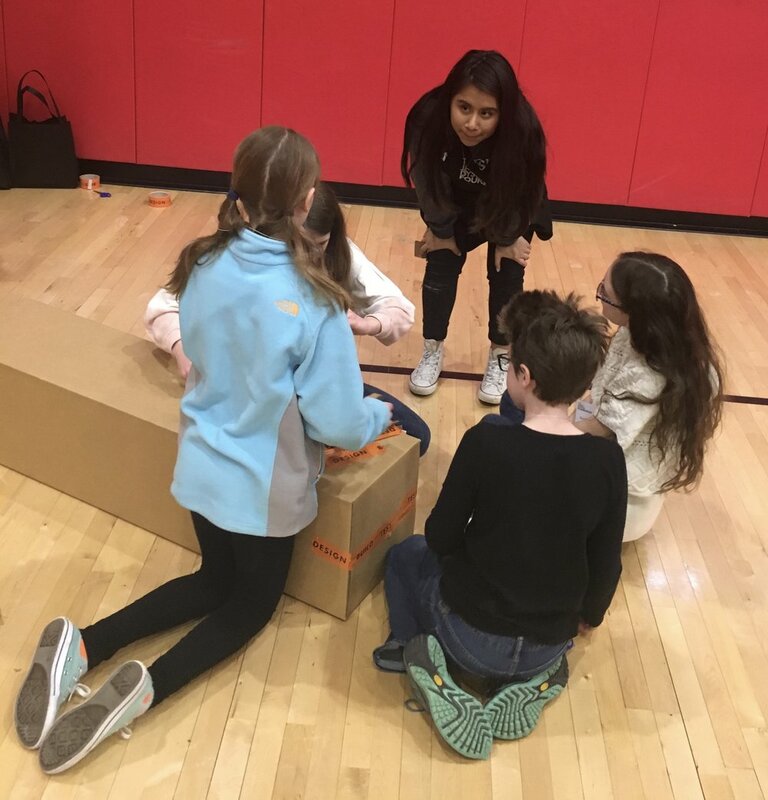 A few freshmen girls taking Sarhan’s class became curious about the Dyson program and approached Sarhan about starting a club where they could complete the same projects as the upper-level engineering students. Sarhan immediately said yes, and the new club began by meeting at lunch. As interest expanded beyond the first, core group of girls, Sarhan began to hold regular after-school sessions. The students find new, exciting engineering challenges to pursue at every turn. For example, two teams from the club are currently participating in the Dyson Global Make-a-Thon. This project asks them to think of moments in life that are difficult or frustrating. Each Make-a-Thon team picks one such problem to share with collaborating students in Bath, England. The Amundsen teams’ problems become the Bath teams’ design challenges, and vice versa. The student engineers Skype regularly with their British counterparts, sharing progress, checking in and making product revisions. Following students’ interests has resulted in a group of students with genuine enthusiasm for their work. One member reports, “I’m just really excited about this whole club. Now, this year I’m taking a computer science class, and everything’s kind of linking together. I’m just excited.” Another says she loves engineering because of the “challenge” it poses coupled with the chance to spend time with people she cares about in a supportive environment. The Girls Into Engineering Dyson Club is a classic example of the opportunities available at a high school big enough to offer a wealth of resources and small enough that a committed teacher can let students create something interesting, important and uniquely theirs.